Fathom Events Bringing 'Transformers: The Movie' Back to Theaters - Wanna Win Tickets? Home » Film » Fathom Events is Bringing Transformers: The Movie Back to Theaters – Wanna Win Tickets? 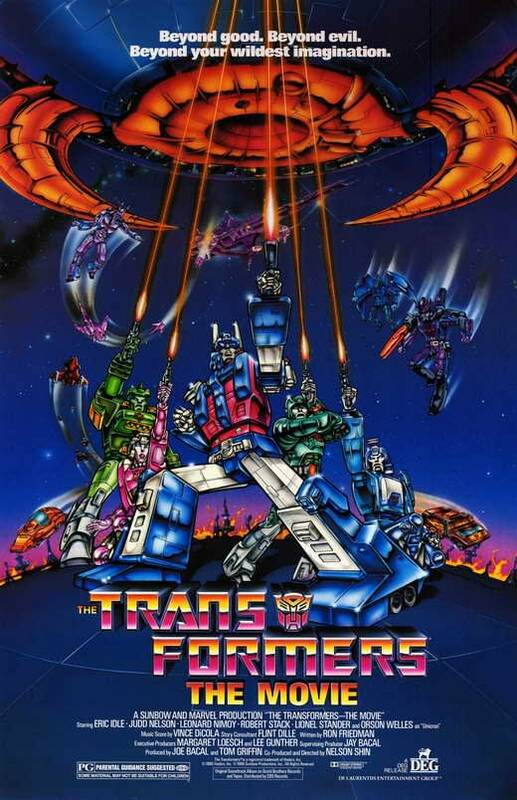 Transformers: The Movie, the classic animated full-length film from 1986, is coming back to theaters for one night only on September 27th 2018. Fathom Events will be hosting screenings all around the country, in association with Hasbro and Shout! Factory, featuring a completely remastered version (also released on Blu-ray in 2016). Also a part of the evenings festivities: a special sneak peek at December’s Bumblebee film and an interview and performances with Stan Bush, who performed the iconic song ‘The Touch’ for the film’s soundtrack. This was a formative experience for many a young filmgoer. Not only was it a big-screen version of the beloved cartoon series, but for many the first time they experienced loss and dealt with the death of a beloved character. Spoilers I guess, but I still remember how watching Optimus Prime die made me feel. It is a seminal moment for children of a certain age that we can all gather in a theater 30+ years later and cry together again! So how would you like to attend this one-night-only event? All you have to do is email us at giveaway@bleedingcool.com and tell us two things: Did you see this in the theater when it was first released, and who your favorite Autobot or Decepticon Transformers character is. Well, you also need to tell us your theater of choice (with the state and zip code) and your legal name so you can pick up your tickets on September 27th. Check here for showtimes in your area right here. Cutoff for entry will be Monday, August 13th at noon PST, after which winners will be notified if they are chosen. Good luck, and roll out! Fathom Events Bringing 'BIG' Back to Theaters – Want to Win Tickets?